Veterans spoke to ABC15's Cameron Polom on the Senate race between Kyrsten Sinema and Martha McSally. 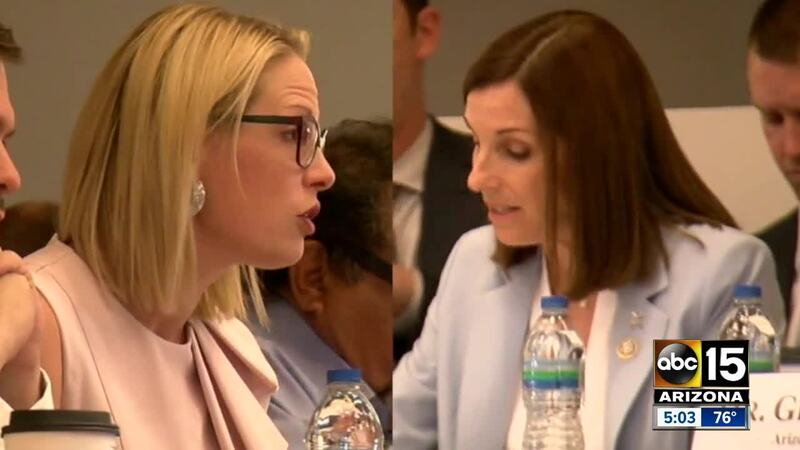 New polling numbers out Wednesday show the Senate race between Martha McSally and Kyrsten Sinema is still close - but has McSally pulling ahead. 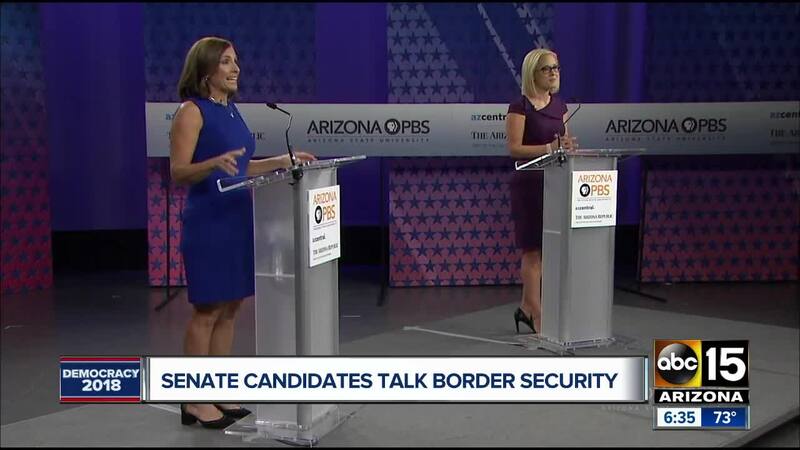 The exclusive ABC15 Arizona and OH Predictive Insights poll shows McSally with a seven-point lead with 52% of the vote compared to Sinema's 45%. Only 2% are undecided with 1% saying they'll vote for Green Party candidate Angela Green. "If Kavanaugh didn't happen I think it'd be an extremely tight race," said chief pollster Mike Noble. "If not, I'd actually say the edge would go to Sinema but after seeing the polling - seeing the results - everything else - I think that McSally will end up winning coming election night." On the flip-side, a CNN poll also released Wednesday had Sinema with 51% of the vote compared to McSally's 47%.